Prominent & Leading Manufacturer from New Delhi, we offer concrete testing equipment, centrifugal pump test rig, soil testing lab equipment, surveying equipment, gear oil pump test rig and hydraulic flume. With the help of our experienced engineers, we are able to manufacture and supply superior quality Centrifugal Pump Test Rig. Our range consists of a centrifugal pump coupled with electrical motor, supply tank, measuring tank & pipe fittings for closed loop water circulation. 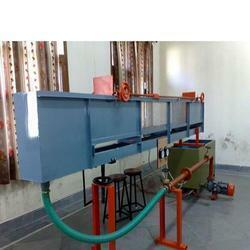 This apparatus is used to determine overall efficiency and pump efficiency of the centrifugal pump. Our company is specialized in manufacturing and supplying a large assortment of Soil Testing Lab Equipment that are widely accepted for their good finish and durability. These equipments are used in several industries including cement, ceramic, calibration labs/test houses, chemicals, defense, construction, education, mining, irrigation and power. Available in different specifications, these equipments consist of varied components. With the help of our efficient professionals, we manufacture and supply an unmatched range of Surveying Equipment, which are extensively used in the manufacturing units. 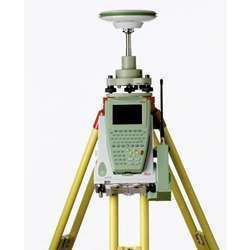 These products are available for different surveys and are based on innovative technology. We offer these equipments at reasonable prices to the clients and these are highly acknowledged for their high efficiency. Thus, our equipments are easily available in the market. 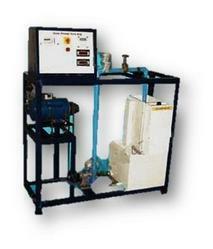 We are a paramount organization that is engaged in manufacturing and supplying high quality Gear Oil Pump Test Rig. Offered product consists of a close circuit through which water is circulated continuously by means of a double acting reciprocating pump. All these products are helpful in determining the efficiency of the pump. 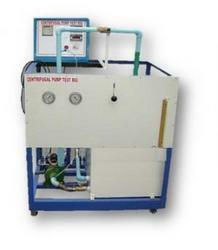 We are counted among the leading manufacturers and suppliers of a Hydraulic Flume. qualitative array of Hydraulic Tilting Flume. This flume is used for determining hydraulic jump, open channel flow and nappe profiles. Also, it helps in determining calibration of venturi flume. Under experts' supervision, offered flume is manufactured with the aid of advanced technology by utilizing high quality components. Besides, clients can avail this Hydraulic Tilting Flume in varied specifications and at market leading rates. Study of Nappe Profiles over a Sharp Crested Weir. Calibration of Sharp Crested, Broad Crested and Ogee Weir. Calibration of a Venturi Flume. 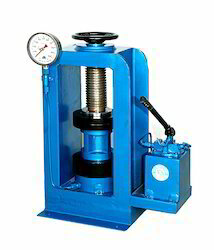 Our domain expertise has enabled us to come up with an excellent collection of Hydraulic Ram Test Rigs. These products consist of a close circuit through which water is circulated continuously by means of a centrifugal pump. To cater to the diverse requirements of customers, we offer these equipment in a spectrum of specifications at industry leading rates. 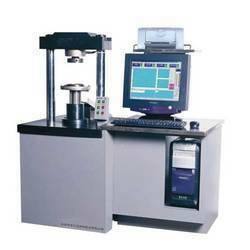 We are into offering supreme quality Aggregate Lab Equipment. 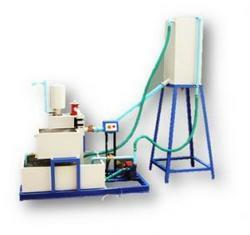 This equipment are manufactured using high grade raw material and machine components. It is extensively used for aggregate testing. Clients appreciate our range for accurate functioning and delivering enhanced performance. 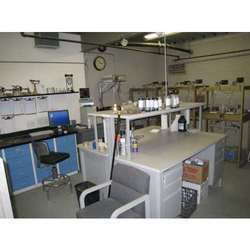 Looking for Civil Engineering Lab Equipment ?